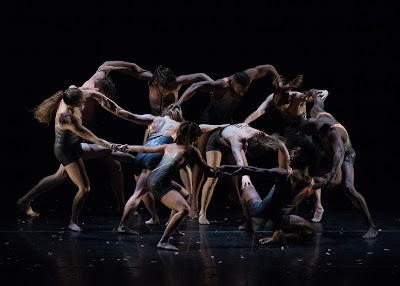 The critically-acclaimed modern dance ensemble, Carolyn Dorfman Dance, joins with Buggè Ballet and the Union County Performing Arts Center to bring the Second Annual Dance Union Festival to the Hamilton Stage in Rahway on February 1 – 3, 2019. The festival designed for dance fans of all ages includes master classes, school-time programs, community events, and a culminating performance by Carolyn Dorfman Dance and other talented dancers from across Union County. This arts program is made possible in part by a HEART (History, Education, Arts Reaching Thousands) Grant from the Union County Board of Chosen Freeholders. The popular event begins on Friday, February 1, with school-time master classes led by dancers from both Carolyn Dorfman Dance and Buggè Ballet. In the afternoon, the community is invited to enjoy a free open rehearsal from 1:00 until 3:00 pm. Advance registration is required by calling 908-687-8855 or sending an email request to info@carolyndorfman.dance. Saturday, February 2, is entitled “Community Dance Day” and festival organizers stress that everyone is invited and no dance experience is required. The open class has a small $15.00 fee and the afternoon program for seniors and people with disabilities is free. Everyone planning to participate is asked to register by calling 908-687-8855. 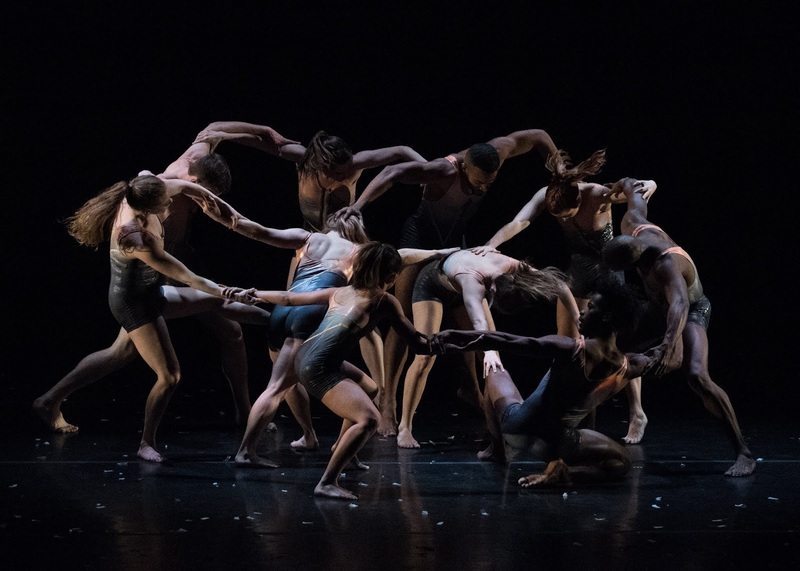 The Dance Union Festival wraps up on Sunday, February 3rd, with a 3:00 p.m. performance by the stunning dancers of Carolyn Dorfman Dance and Union County-based public high schools, dance studios, and professional companies. The participating dance companies include Buggé Ballet, Contento Dance, Rahway Dance Theatre, The Well Performance Project, and LeAnn Yannelli Dance. The two dances studios to be included are Harmony Dance Center and Susie Karlik's Dance Sensation and the high school dance programs come from Alexander Hamilton Preparatory Academy, Cranford High School, Plainfield High School, Thomas Jefferson Arts Academy, and Union County Academy for Performing Arts. Carolyn Dorfman Dance will perform two works: Snap Crackle Pop, a groundbreaking collaboration between choreographer Carolyn Dorfman and Renée Jaworski, Co-Artistic Director of PILOBOLUS, and Sextet which features a powerful and driving score by jazz composer Horacee Arnold and explores the energy, rhythm, and power of six dancers as they connect, divide, and regroup. A new addition this year is art work on display in the lobby from the Union County ARC and the Westfield and Rahway Senior Centers. There will also be a special performance during the concert by a choir from the Union County ARC. Dance Union Festival takes place at the Hamilton Stage, 360 Hamilton Street, Rahway, New Jersey. There is ample free parking available. While the Friday master classes are fully booked, the free open rehearsal from 1:00 to 3:00 on Friday still has openings. Tickets for Saturday’s Open Level Dance Class for all ages are only $15.00 and runs from 11:00 a.m. until 12:30 p.m. The gentler dance class for seniors and people with disabilities runs from 12:45 – 1:30 p.m. and is free. The Sunday performance runs from 3:00 until 5:00 with General Admission tickets only $15.00 and $9 for seniors, students (with id), military, and persons with disabilities. Super Bowl fans are assured that they can be home for kick-off. Sunday performance tickets are available through UCPAC (Union County Performing Arts Center), online at www.ucpac.org/events, or through the box office at 732-499-8226. For general information on the festival and tickets to the Saturday dance class, go to www.carolyndorfman.dance or call 908-687-8855.
photo courtesy of Anthony Johnson.